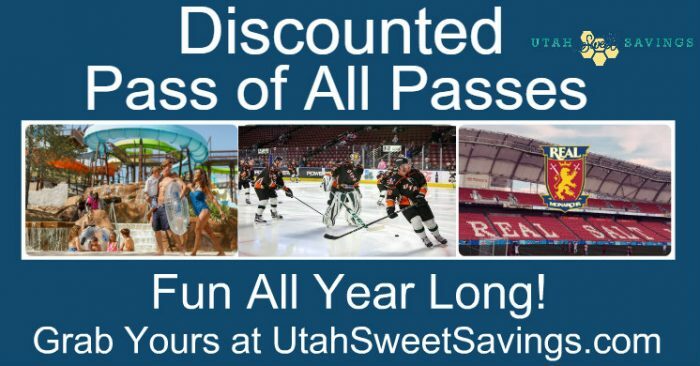 Utah GOLD Pass of All Passes for $29.99 (Reg $59.99), SILVER Pass of All Passes $19.99 (Reg $39.99)! Want more Utah Deals? 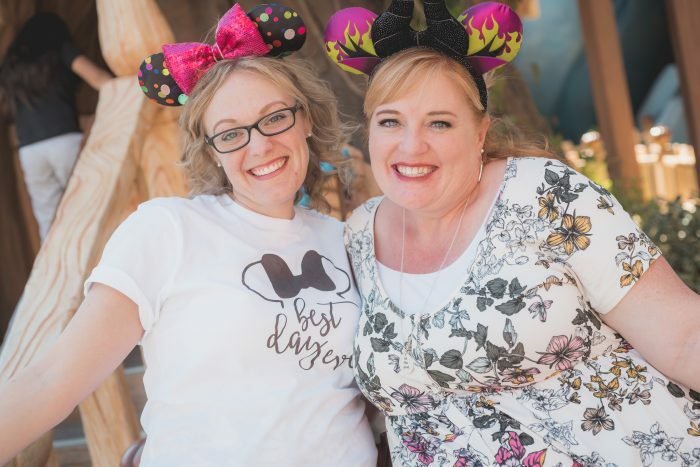 Join our Facebook Group for all the Very Best Utah Deals! The fun never ends in Utah when you have the Seven Peaks Utah Pass of All Passes! You can even renew your pass with this deal, so check your expiration date to see if you’ll need to be renewing soon! Heads up! It looks like there are some changes coming to the Pass of All Passes. 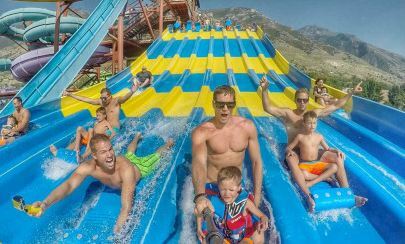 Unlimited admission to Seven Peaks Waterpark Provo (Admission Monday – Saturday) during 2019. Unlimited admission to Seven Peaks Fun Center Lehi (Arcade tokens, food/beverage and party rooms are not included) during 2019. Admission to Peaks Ice Arena during public skate times during select months of the year during the 2019 season. Admission to select BYU athletic events including: men’s volleyball, men’s basketball, baseball and women’s soccer during the 2018-2019 season. Admission to select UVU athletic events including men’s basketball during the 2018-2019 season. Admission to ALL Orem Owlz home games during the 2019 season. Admission to select Ogden Raptors home games during the 2018-2019 season. Admission to select Utah Falconz home games during the 2019 season. Admission to select Utah Warriors home games during the 2019 season. Admission to select Utah Grizzlies home games during the 2018-2019 season. Admission to select Real Monarchs home games during the 2019 season. Admission to select SLC Stars home games during the 2019 season. Admission to select Utah Royals FC home games during the 2019 season. Admission to one (1) designated SCERA Shell play during the 2019 season. Tickets are served on a first-come, first-served basis and are not guaranteed. One (1) annual admission to Scales & Tails during 2019. **Venues are subject to change. May buy 10 for yourself and 10 additional as gifts. Pass must be activated by expiration date on your voucher; new passes are valid 12 months from purchase and current passes will be extended 12 months. Valid only for locations listed at passofallpasses.com/gold. Venues, events, and activities included with the Gold Pass of All Passes are subject to change at any time without notice. Sales tax not included, will be charged upon redemption. Unlimited admission to Seven Peaks Waterpark Provo (Admission Monday – Thursday) during 2019. May buy 10 for yourself and 10 additional as gifts. This pass is also known as the Silver Pass of All Passes. Only valid Monday – Thursday. 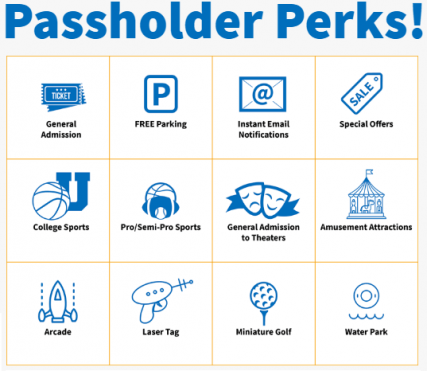 Pass must be activated by expiration date on your voucher; new passes are valid 12 months from purchase and current passes will be extended 12 months. Valid only for locations listed at passofallpasses.com/silver. Venues, events, and activities included with the Silver Pass of All Passes are subject to change at any time without notice. Sales tax not included, will be charged upon redemption. Expires 12 months after purchase. 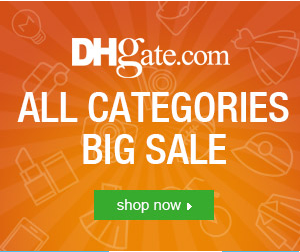 *Hot* National Geographic Kids or National Geographic Little Subscriptions from $10.00/year! On Feb. 24, I signed up for 4 Vouchers online, however, I only got this one confirmation email for one, and the price was supposed to be $11.99 ($14.99- $3.00 for the “groupon” code SALE3) My card has been charged for 4 at the price of $14.99. I was wondering what I need to do to get the correct price, and all 4 vouchers? You will need to contact Groupon. You purchased the vouchers through them. We just share the great deals with you and let you know about them. But Groupon should be able to help you. How would I get ahold of “Groupon”? Here is their phone number: (888) 664-4482 Monday–Sunday, 8 a.m.–7 p.m. CT. I hope that helps! Could I used them To renewal my current pass ? They don’t expire yet but would like to renewal if possible with this deal . So, it doesn’t say anything about renewal. However, it says that you just have to redeem your voucher within 6 months and that the passes are good for 12 months after they are redeemed. So it seems to me that you could purchase this deal, hold on to the voucher until your current pass expires, and then redeem it. As long as it expires within 6 months. Does that make sense? We just found one. It’s only 10% off but it is better than nothing. We are updating the post now. Hey, when I went to checkout it said the seven peaks pass will expire aug. 9th. Last year we were able to use ours passed that date. Do you know anything about that? The pass is good for 12 months from the time of purchase, and you can use it at Seven Peaks or any other location whenever that venue is open. I hope that helps! Hi Jill! So if I bought mine now for 2018 they would last until September 2018? Yes. The passes are good for a year from when you purchase them. so i just order 3 … does the card come in the mail??? how does it work ? Can i only use it once at each place or can i use it multiple times? Some of the dates are for earlier this year, you will get those same type of deals (like the Grizzlies deals) end of this year and next year. So some of them are just a one time only, some are multiple. It just depends on the venue. Your voucher will tell you how to redeem it. I am trying to buy 6 pass of all passes with the SALE3 groupon code. It only take it off for one ticket. You have to buy each pass separately, as the code will only take the discount off one item. You might need to use more than one account to buy a bunch of tickets and get the discount off all of them. Are U of U football games included in the Uof U athletics? No. U of U Football will not be included. Basketball and other events are. Neither of these codes are working for me. Why? Make sure you don’t have any extra spaces and that you are logged in. The 30% off code is only working on some accounts. But the 20% off should be working on everyone’s account. They won’t work for me either! Help! I’m sorry. They pulled the codes a little early. I just bought 2 passes using the code WINTER25 and I paid 14.99 for each. How can I get the 11 dollars passes? Code WINTER25 should bring the price down to $11.24. It will only work on one pass per transaction, so if you need more than one pass, you’ll need to do separate transactions. I’m not sure the Heart20 code is working. I used it three times and thought it went through but when I checked my available groupons, they are not there. When I click to look at “all” they show up as refunded? That’s weird. You are the first person that I’ve heard of that happening to. So weird. Maybe try with a different account and see if you have the same issue? We hope so! We will update the post if one becomes available. Ooh I missed this by a day do you think they will have another? Yes! Are you on Facebook. We post it there as well as here so you don’t miss it. They’re valid for 365 days from the time of purchase. Groupon wouldn’t have it available for purchase if it wasn’t valid currently. I’m not seeing where 2016, however. What link did you click on that says that? Do you need to be under 18 years of age to be able to get a pass of all passes? Nope. It’s good for everyone! Do you think there will be another deal this good soon? I seem to miss these by 1 day every time. I tried to sign up for the emails but it just gives me an error saying I have tried to many times with my email? I even tried with a different email with the same results. I’m hoping that there is a deal tomorrow. I’m crossing my fingers. I’m sorry the email isn’t working for you, that is strange. I can comment here when it comes back and that should send you an email too. Also, if you are on Facebook, I always post there when it’s back. This is back today Nichole! I’ve just updated the post with the new code. I just found your site and read that if I put in the code OFF cost would be $15.50 it says the code is not valid when entered. However at the top of your page it read the read the pass is only one day old code is only one day old?? Hi Mary! Welcome to the site! The code was working yesterday, but it must have been a 1-day code. Follow us over at our Facebook Group to receive all the latest deals! We frequently post deals for the Pass of All Passes and will update this post with a new code as soon as we find one. this says it was from 21 hours ago? I am looking for the cultural pass of all passes (still a thing?) and the 7 peaks in slc pass as well. Where can i find those? 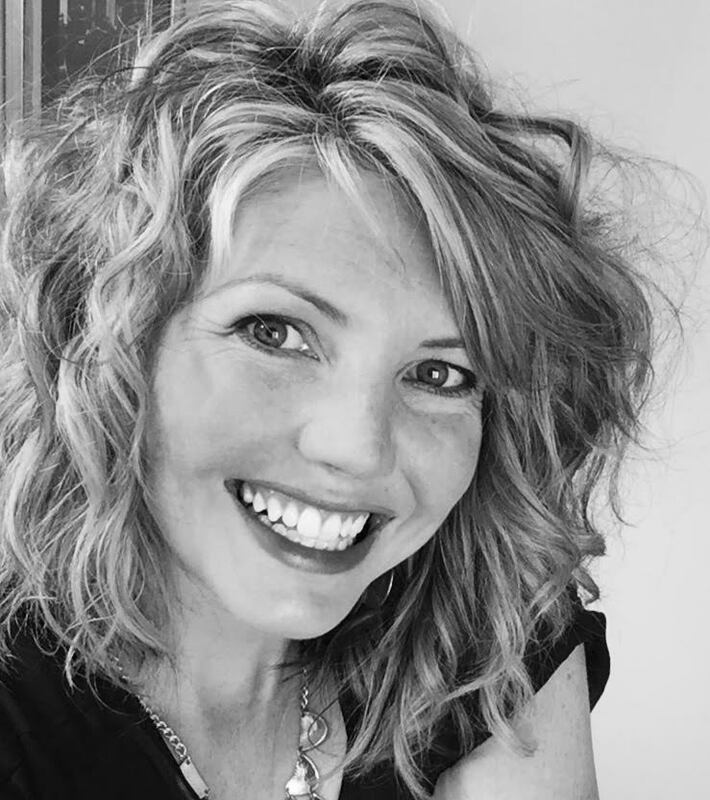 Hi Rebecca. They are no longer offering the cultural pass of all passes. Sorry. Also, Seven Peaks in SLC will not be open this year. That is all the information they are giving at this time.